Happy Monday. Happy Meatless Monday. Are you one of the millions of people in over 44 countries that have joined the Meatless Monday Global Movement? This week, along with every week, I share one of my favorite meatless recipes- and this week I am going breakfast-y on you. 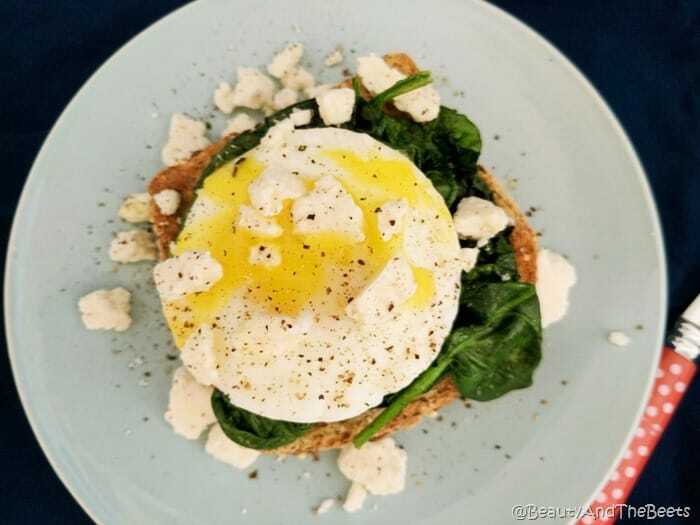 With this super easy, and super healthy Spinach, Egg, and Feta Toast. I find it incredibly important to start each day with something healthy, but it has to be quick to. Usually I am scrambling for something to eat in the morning after maybe working out, or finishing a school assignment, and by then I am too impatient and starving to mess with anything fancy or time consuming. That’s why Avocado Toast is a staple in my house. I love to mix things up and if I am going to have toast, then I don;t always want avocado with it. Sometimes I just want to fix a simple egg sandwich. And why not throw in a healthy veggie or two, right? 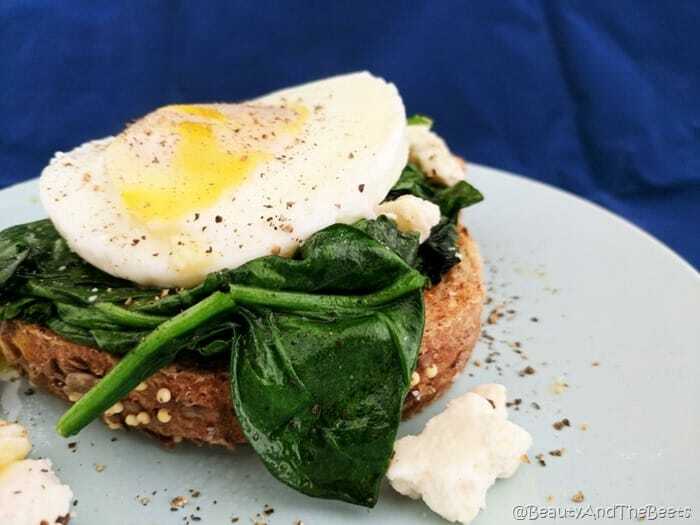 It takes less than 5 minutes to sauté up some spinach and poach an egg. 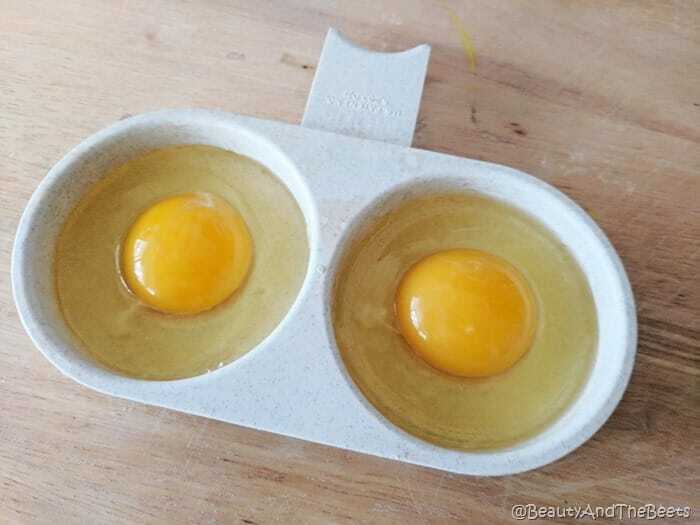 Here is the egg poacher I use –> Nordic Ware Microwave Egg Poacher. It’s super easy to use and poaches the eggs while I sauté the spinach and toast the bread. The result is delicious, fast, and healthy. Less time than it would take me to throw on some shoes and head to the McDonald’s drive thru. Mmmmmmm. Easy peasy. 5 minutes to a healthy and hearty breakfast. As the spinach is "resting" poach the eggs**. Add bread to the toaster and toast as desired. Move the psinach around the pan until the spinach becomes wilted. 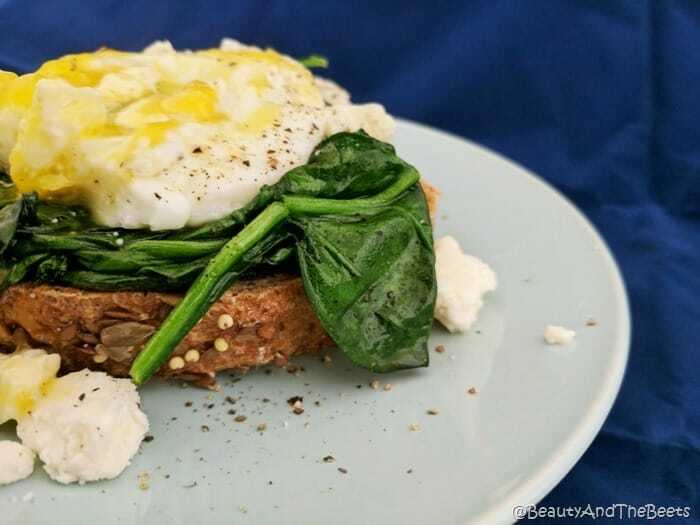 Top the toasted bread with the wilted spinach, followed by the poached egg. Sprinkle with the feta cheese and black pepper. **I poach my eggs using the Nordic Ware Microwave Egg Poacher. However, you can poach eggs traditionally in hot water if desired. Love the idea of feta on the avocado toast.